Thermographics is pleased to release for sale Babysafe, a new baby crib thermometer that continuously monitors room temperature beside the baby. These thermometers provide added safety and reassurance to parents and caregivers, from the time a baby is born through their early years, helping to ensure a child-safe environment. 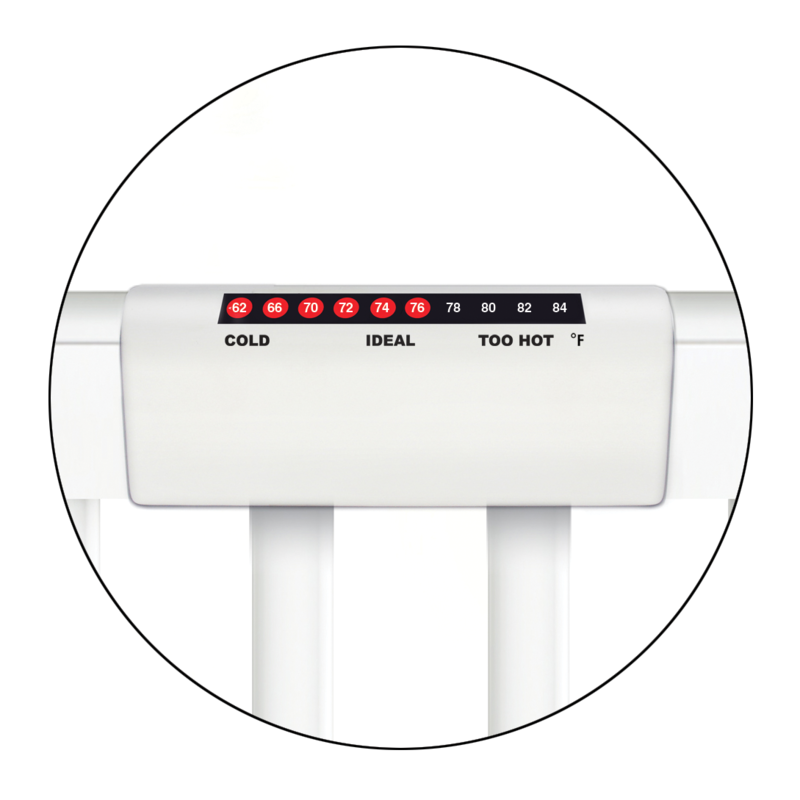 Babysafe® is an easy-to-read color change room thermometer that is accurate, always on and BPA-free without the need for batteries or power cords. This new thermometer attaches easily to your baby’s crib rail and monitors the room temperature as closely as possible to your baby. Quickly and easily check the temperature day and night, for constant reassurance. About LCR Hallcrest: The company is the leading international manufacturer of “SMART” color and chemical changing labels, thermometers, pigments and graphics that react to environmental and temperature fluctuations, providing visible evidence of change and measurement with in-house design, development and manufacturing capability.